When I was introduced to Tom, Joseph Gordon-Levitt’s character from 500 Days of Summer, I was instantly taken with him. Not because of his permanent puppy face, not because his idea of a perfect date was a trip to IKEA, not even because of his all-consuming love for Summer, played by Zooey Deschanel. My obsession with the character purely stemmed from his profession of choice, that of a grand ol’ greeting card writer. I thought it was a noble career to pursue, devoting a good chunk of your day to stringing together words that would rouse the emotions of others. Almost altruistic, if you consider the pittance writers make. Maybe that is the reason I view the death of the card-giving culture as a personal bereavement. As a child, I loved letters. You could say it was my mother’s innocent attempt at improving my vocabulary that got me inducted into the letter-writing fan club. She emphatically stated that the only way I’d receive any presents, come Christmas morning, was if I wrote a lengthy letter to Santa explaining how I’d been a good kid all year round. As a fairly mischievous kid, my letters ended up being quite long-winded since I felt the need to expound each folly and delve into an explanation for why said blunder was committed. The gifts that were bestowed upon me assured me that my writing was creating waves all the way till the North Pole. Soon, I turned 10 — a whole year after I learned the heartbreaking truth that Father Christmas never existed — and a different sort of magic started to manifest itself in my life. It was 2002, the year Harry Potter and The Sorcerer’s Stone released. I marvelled at the sheer expanse of the school, the riveting classes, the games of Quidditch and the danger that always lurked on the fringes. Again, I noticed that Harry, Ron and Hermione would communicate via owl-delivered letters during school break (Neville Longbottom was even getting Howlers from his grandmother at school) and it reignited my passion for written correspondence. I began by scribbling hasty letters to my downstairs neighbour that I went to school with, adopting the Muggle-approved way of delivering them — I’d inconspicuously slip them into the space between the double doors. Since there were no cell phones at the time, I’d simply wait for her to open the door at some point during the day and chance upon the letter — I believed that the thrill of finding a letter at her doorstep would outshine the act of being told there was one waiting for her. Before long, other classmates had also jumped on the letter-writing bandwagon and one could hear the audible rustling of paper during lectures as notes were passed back and forth. After a while, we thought of switching things up a bit. We were going to continue with non-verbal communication, no doubt about that, but we also wanted to introduce a visual layer to our correspondence. To break the monotony of perusing very many words on a piece of paper, each letter was to be accompanied by some form of illustration that was representative of its contents. You could say that it was a rudimentary form of a greeting card. Soon, we were more excited about the little illustrations than the words and since homework was getting hard to keep up with, we decided to make a permanent shift to readymade greeting cards. We’d scour Archies — the only respectable greeting card store at the time — looking for cards that were heartfelt and witty in equal measure and pen short notes to go with them. It’s been 12 years since my days of exchanging letters, but on the rare occasions that I happen to embark on one of my cleaning sprees, I’ll come across a withered piece of parchment or a bright card and smile wistfully. As a writer and someone who shies away from verbal confrontation, I think there is something truly extraordinary about the words on a card. Not only are they the perfect accessory to your present, but they also convey your thoughtfulness behind finding one that befits the receiver. However, amidst a sea of jaded greeting cards, there haven’t been too many options in the market that made me want to resuscitate my card-giving tradition. Sometimes, my interest would be piqued by the stray quirky works I came across on the Instagram pages of a few illustrators but it wasn’t until I stumbled upon Art de Soul’s cards that I truly wanted to gift my first card in almost ten years. 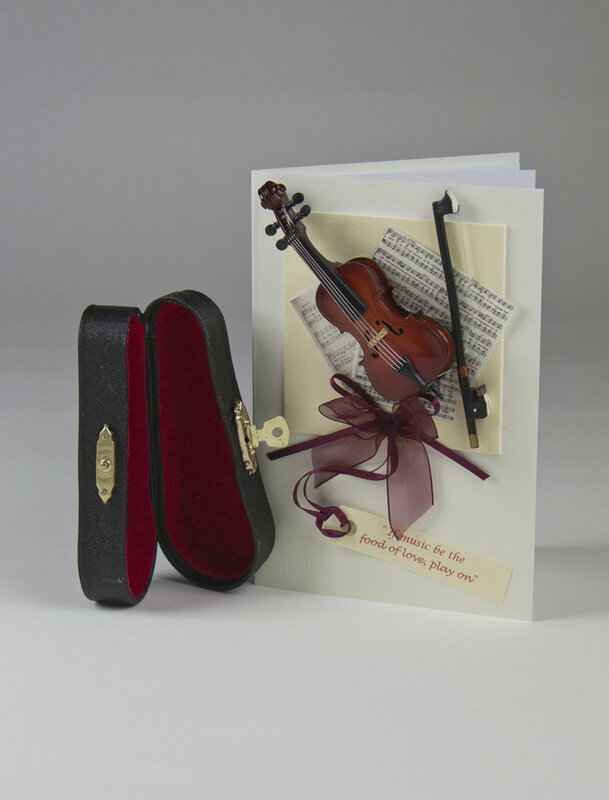 Founded by Hiral Mehta, the company specialises in creating cards that feature actual miniatures of celebratory paraphernalia like flowers, cakes, champagne and more in 3D. The idea came to her when her own husband gifted her a card on their wedding anniversary and she realised that the happiness she experienced at receiving her present right after had nothing on the simple joy of the card she’d been given earlier. “We are currently living in an era of extreme decadence. People spend ridiculous amounts of money on flowers when they wilt in four days and are then thrown into the bin. I wanted to create something that people would treasure over an expensive bouquet of flowers or a purchased gift”, Mehta says during our interview where we are two kindred spirits gushing over the practice of writing personalised notes on the inside of cards. 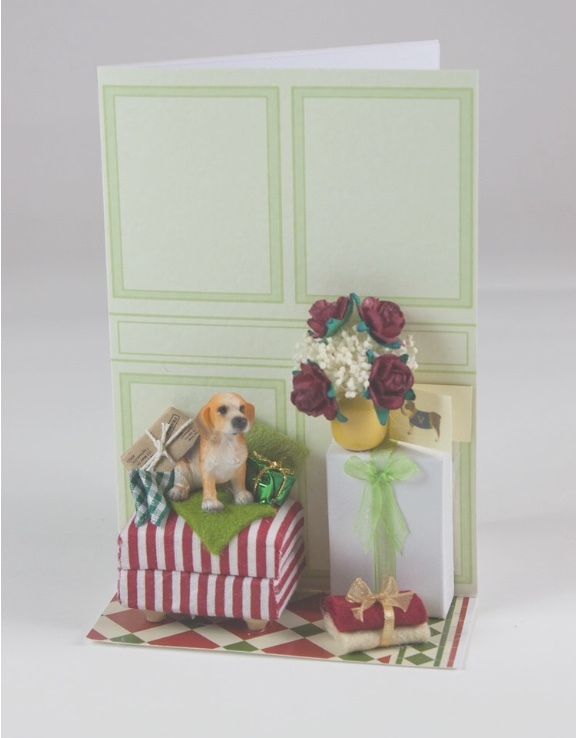 The founder has clearly taken that aspect into consideration as well, seeing how she provides a generous amount of blank space for personal messages to be incorporated into the card. 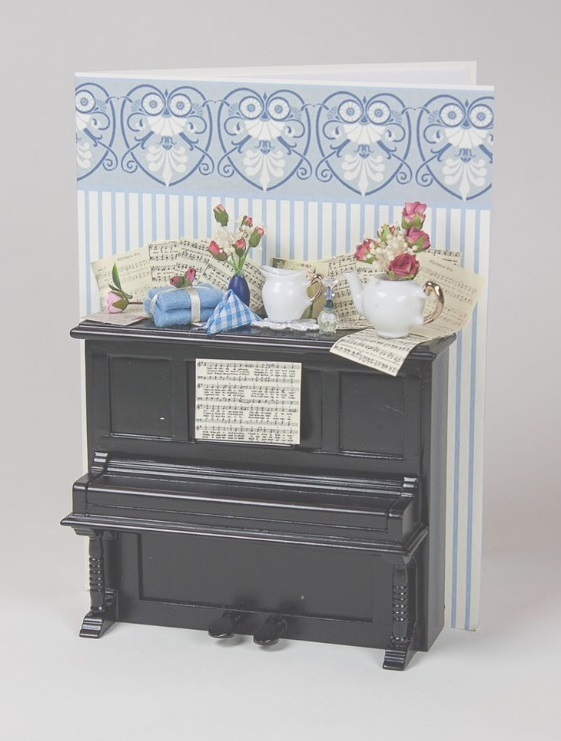 Mehta’s creations also come with their very own easels so you can display the card on your mantle-piece, and considering the intricate detailing that goes into making each card, that’s a mighty fine idea. How do you pick your themes for cards? We stick to generic themes since we’re only a year old. 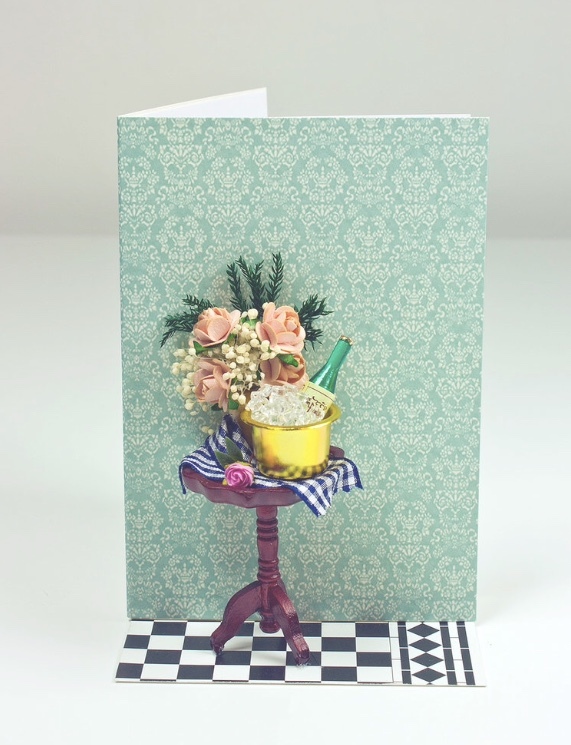 We hope that people pick our cards with the aim of using them when they need to send a little note to someone. 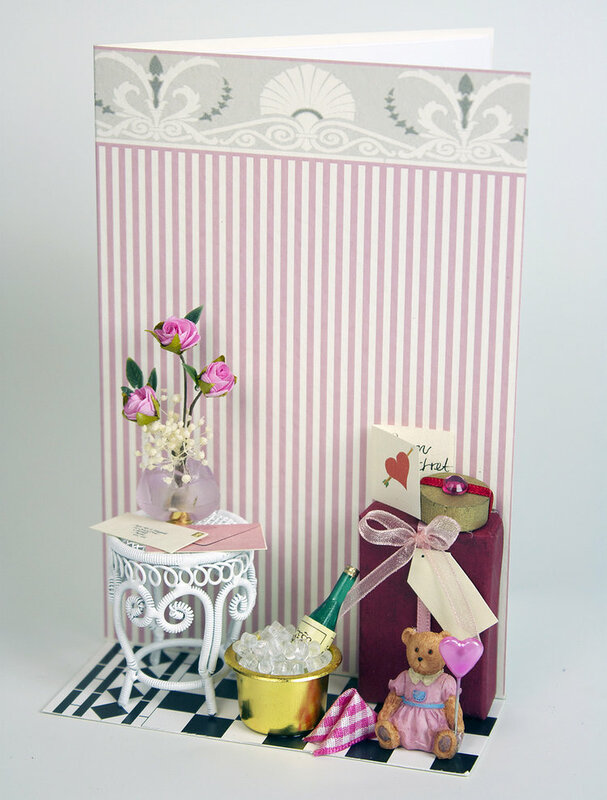 We’ve created cards for every popular occasion there is: birthdays, anniversaries, baby showers, general congratulations and good wishes. 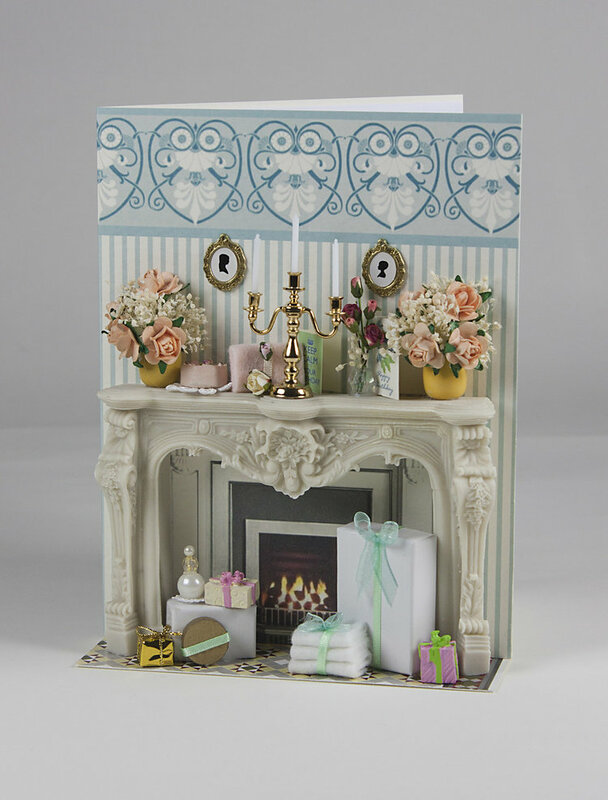 Since the card is like a showpiece on the front, it reels you in with the visuals so you can use the space inside for purposes personalisation and give it your own unique twist. What is the process of making each card like? Each element is tediously crafted to perfection by hand and seamlessly integrated into the card in accordance with the chosen colour theme. 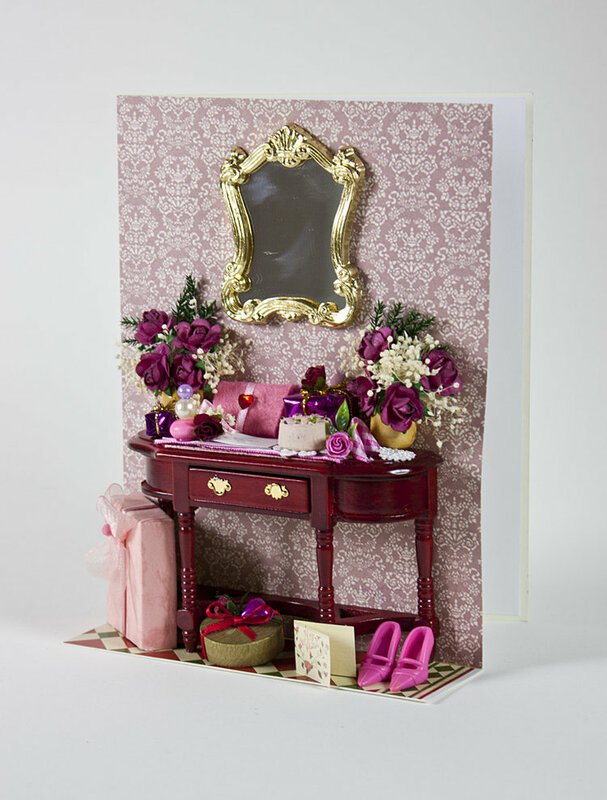 It’s a very intricate and detailed affair since we aim to give our clients the option of the framing the card and using it as a decorative element in their space. Do you personally believe that card-giving is an art that needs to be revived? Absolutely. In this hyper-connected digital age, we are even more disconnected as people. That’s the irony of the times we live in. I feel that from time to time, it’s important to express your feelings to a dear one with a gesture that shows sensitivity, effort and care. Have you ever noticed how your near and dear ones always tend to get overwhelmed when you present them with a card or a note? What is the USP of Art de Soul? 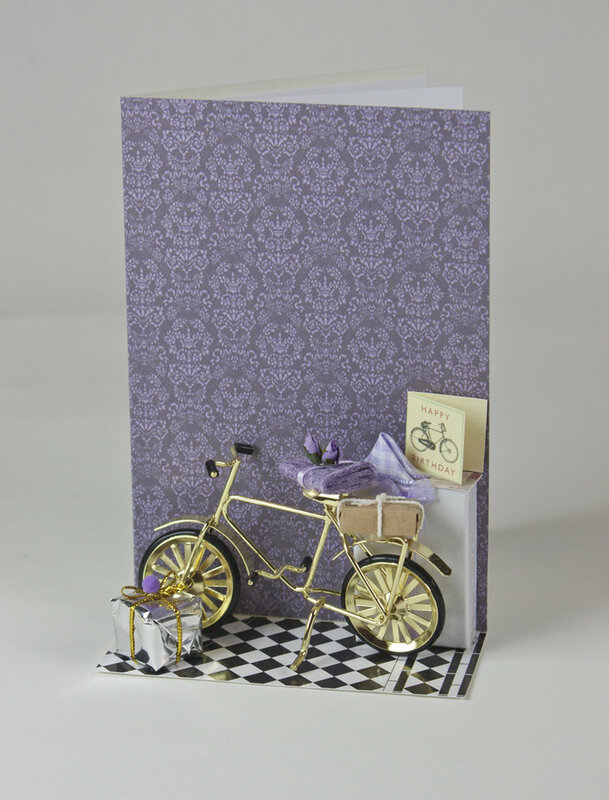 Our cards are exclusive in terms of concept and design. We have a very clean and contemporary design aesthetic. Since the raw materials are all premium, we enlist the help of exclusive international artists who work with us to put a card together. Do you provide customisation options? We’re all about making it special for our clients and the person they’re gifting the card to. If they are to be customised, we require three weeks’ time and charge a higher design fee. One of our quirkiest cards involved a surprise proposal. I won’t divulge details, but we were happy to be part of someone’s joy. We recently created a little something for one of the top families of Mumbai where they placed our card on their engagement tray. There is no dearth of design options and colour themes and you can rest assured that there will always be a card that will suit your occasion. Get in touch with Mehta on Art de Soul’s Instagram page (art_de_soul) or text her on + 91 9820988550 for queries.